Thank you, Arizona, for 90 years! This year marks our 90th year in business. We have been serving Arizona residents since 1927. 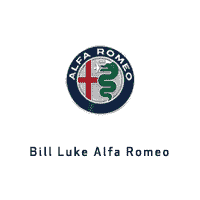 Bill Luke is truly a family owned and operated business. Frank Luke Jr. was the fifth child of Ottilia and Frank Luke. He only lived for 21 years but his name and deeds will live forever in American military history. Second only to Captain Eddie Rickenbacker, as the leading ace of World War I, Luke was credited with 18 kills in nine months of combat. Rickenbacker was quoted as saying: Had he (Luke) lived, he would have put me out of business as the Army’s leading ace. Lieutenant Frank Luke, Jr. was posthumously awarded the Congressional Medal of Honor, had a statue erected in his memory in the mall of the State Capitol and was further honored when Luke Air Force Base was named after him.